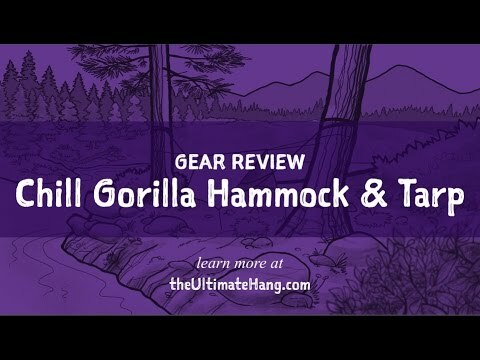 The Chill Gorilla Silverback hammock compares favorably with other “double” hammocks on the market, including the ENO DoubleNest, Grand Trunk Double, and others. It is an open, gathered-end hammock style with a three panel fabric construction. 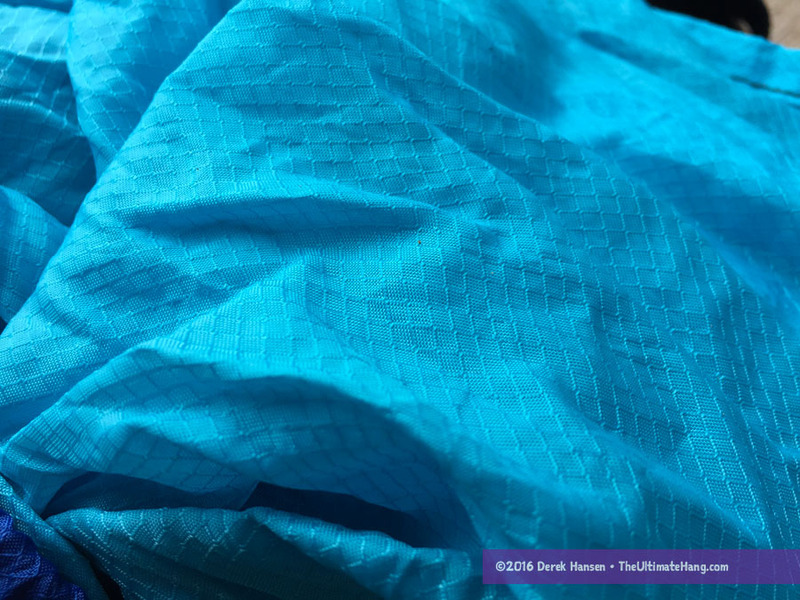 The fabric uses a diamond ripstop pattern is has a nice hand and feels lighter than most “parachute” crinkle taffeta fabric. The end channels are gathered using a continuous loop of webbing. The hammock comes with a pair of anodized steel carabiners and a pair if polyester, 10-foot-long daisy chain webbing straps. The Chill Gorilla Silverback hammock has the common three-panel construction (not my favorite), but the interior bed fabric is wide enough that I can lay diagonally without laying across the seams, thanks to the generous dimensions. I really like the webbing loops that gather up the ends of the hammock. 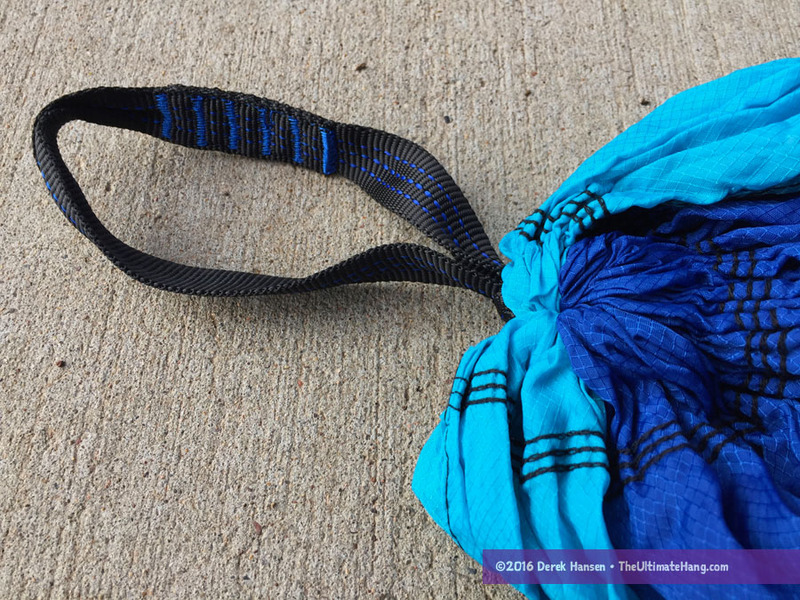 By connecting the two ends of the loop to the carabiner, it opens up the fabric to get a better diagonal lay. The inclusion of the daisy-chain webbing straps is the key selling point for this hammock. 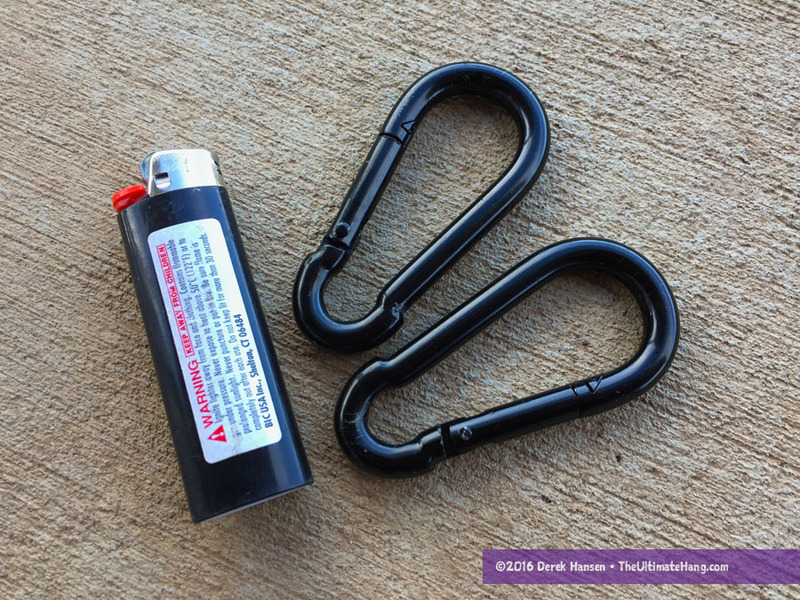 These are excellent for new hangers and pair nicely with the hammock, making it easy to set up. The straps have 16 loops per strap (one loop for cinching around the anchor point) and are heavy-duty seatbelt-type construction. 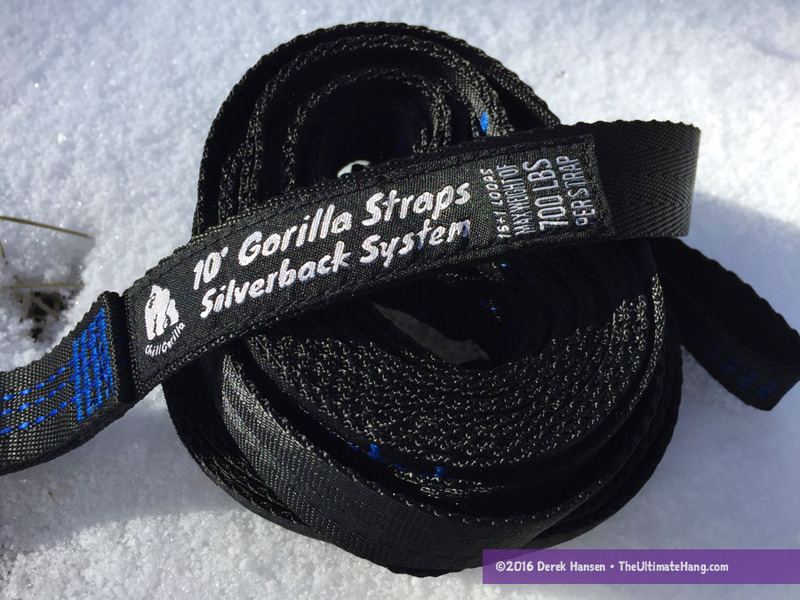 It’s a little confusing because this hammock is listed as different names across different platforms, everything from a “double”, “pro”, and “Silverback” by the manufacturer. Be sure to check the specifications to ensure you’re getting the right one. The MSRP lists this hammock as $99.95, but I also was told it retailed for $49.99. Suspension and Anchor System ♥ ♥ ♥ ♥ ♥ Including the straps is so important and ideal for this type of hammock. Construction and Craftsmanship ♥ ♥ ♥ ♥ ♥ Same construction and build as most common hammocks. Modularity ♥ ♥ ♥ ♥ ♥ An open hammock is the backbone of any modular hammock system. Aesthetics ♥ ♥ ♥ ♥ ♥ A few color variations are available, but nothing out of the common way. Price and Value ♥ ♥ ♥ ♥ ♥ This one is hard to pin down because while the MSRP is on par with similar hammocks on the market, it is sold discounted nearly everywhere I look. Derek: not too much of a review here. From past reading I’d have expected more attention to just how comfortable/user friendly the product was. Didn’t see that here, so this review is of “very” limited use to me, especially as I’m in the market for a hammock right now. If you’ll permit me, I’ll try to be as candid as possible about how I do product reviews. Although I do get the gear free to test, I’m otherwise not paid and I avoid any product sponsorship or kickbacks to try and keep review bias limited. I regularly give away the gear after I’ve finished testing to youth groups, or sell it at discount prices to friends. I try to avoid absolutes or hyperbole like “this is the best” or “this is the worst”, but my sentiment does come out in my writing. I must admit that several of the hammocks I’ve reviewed recently haven’t been very inspiring. In other words, there is a lot of sameness and not much to talk about. No real difference in fabric, manufacturing, feel, and fit. There are so many look-alike hammocks now on the market (Amazon is an absolutely crowded space) that the only real differences in my mind would be the overall dimensions and price. Sometimes I am surprised, and that usually comes out in the tone of the review. 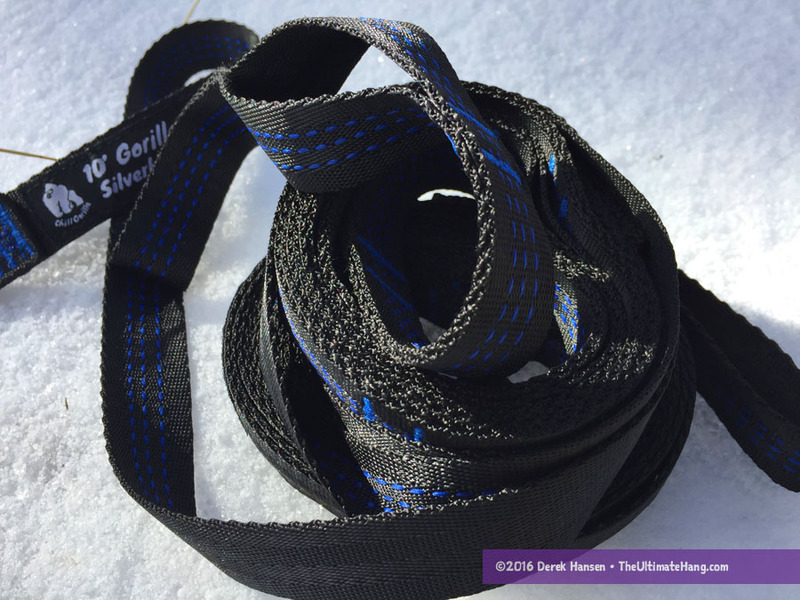 The Chill Gorilla had very little to offer that excited me, although I will say it has as much utility as ENO, Grand Trunk, or any number of open hammocks on the market. I try hard not to sound like a commercial, so if the review sounds dull, I was probably struggling with what to say because the product, in all fairness, was dull. To your point about comfort, I try to steer clear of subjective claims. I’ve been sleeping in hammocks full time for many years and I find I am as comfy as a clam in a number of hammocks that some people would find claustrophobic and uncomfortable. My new reviews now include as much subjective data as I can, such as weight, capacity, construction, etc. If the hammock is short, for example, I try to let folks know who I would recommend use it. For example, a short hammock is more likely to fit (and be comfortable) for youth. And while that may sounds obvious, I say it with some caution because I have tall friends who prefer to sleep curled up in a fetal position and find small hammocks very cozy. There are so many criteria of what folks are looking for (e.g., light weight, high capacity, fast suspension) that if I wrote my reviews only from my preference point (FYI: I prefer light, jungle hammocks outdoors; long, open hammocks indoors), I would quickly alienate my readers. I hope you can see how challenging it can be. Yes, I have my biases, but I try to structure my reviews to eliminate, as much as possible, those biases to provide some clarity for users, like you, who are shopping around an want to know if the hammock lives up to the hype. This is also why I take more time to do my reviews, preferring to test it for a few weeks, before I write anything. 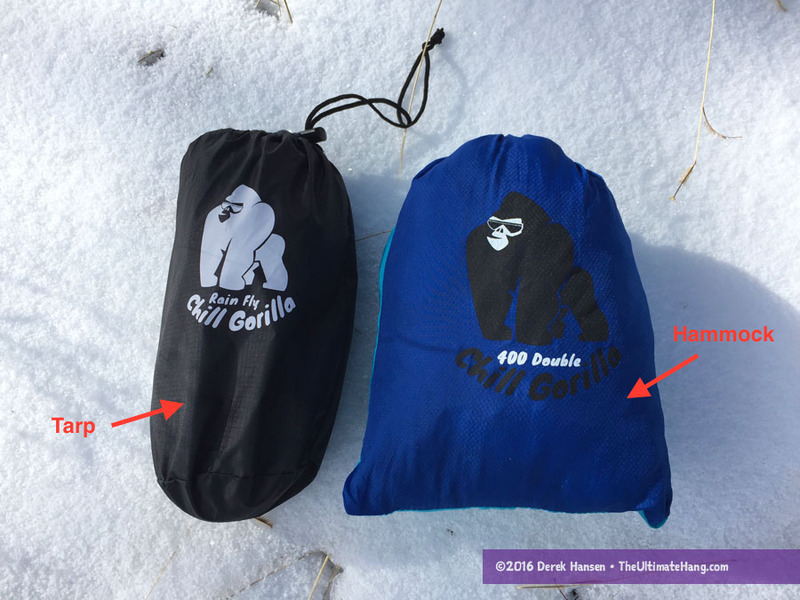 If your main criteria are “comfort” and “ease of use” I think you’ll find the Chill Gorilla just as good as a hundred other mass market hammocks on the market. It’s a basic, open style hammock that is very modular and has a lot of utility. As I said before, the only difference between them is dimensions and price. From my testing, I would conclude that most of these hammocks are made from the same three factories in China, with only slight variations.